Today we're joined by Dr. Jane Goodall, primatologist and founder of the Jane Goodall Institute and Roots & Shoots program. In this post, Dr. Goodall shares her thoughts on how today’s technology can enable more people around the world to make a difference in their communities. Join Dr. Goodall for a celebratory Birthday Hangout on Air today at 11 a.m. PDT/2 p.m. EDT. -Ed. When I first set foot on the shores of Lake Tanganyika in 1960 to study chimpanzee behavior, I carried with me notebooks, pencils and a pair of second-hand binoculars. I was, at the time, a young woman with no scientific training, but had a strong passion for learning about animals in Africa. In later years I founded the Jane Goodall Institute, dedicated to preserving the habitat of chimpanzees and other animals worldwide. 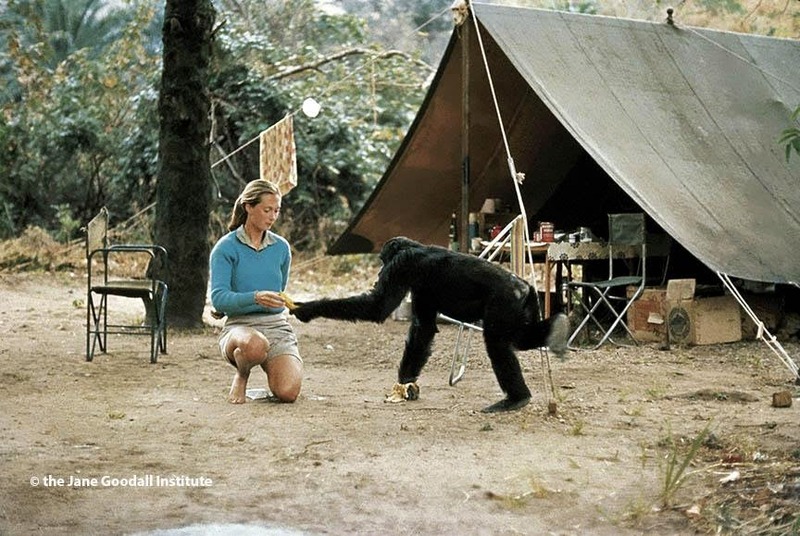 The author connects with a member of the Kasakela chimpanzee community in Gombe. Today, the mapping technology available to all of us is completely changing the potential for animal and environmental research. My trip in 1960 would have looked quite different today. You have much more power at your fingertips, and you don't even have to leave your home. Tools like Google Earth let you visit the shores of Lake Tanganyika with just a few keystrokes. And in Gombe, local villagers are using Android smartphones and tablets, in conjunction with Google Maps Engine and Earth Engine, to monitor changes in the forest habitat that affect chimpanzee populations. Technology makes it so easy for people to find and share information and to understand the world around them. And once we understand, we can start to foster positive change. 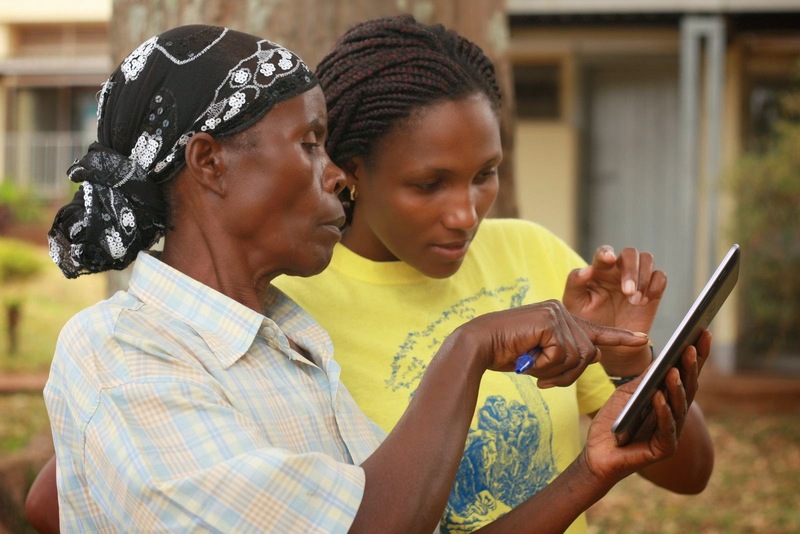 The Jane Goodall Institute engages local communities from Tanzania, Uganda and across Africa to collect data on forests, wildlife and human activities using Google Android handheld devices. Photo courtesy of JGI/Lilian Pintea. That’s one of the reasons we started the Roots & Shoots program to connect young people with the knowledge and tools they need to solve problems in their communities. The projects undertaken by these young people help them learn important science, technology, engineering and math (STEM) skills while developing real leadership capabilities. Today, Roots & Shoots is launching a new community mapping tutorial for young people to help them use digital mapping technology to identify and address needs in their community. If you’re an educator, we offer online professional development to help you fit our youth leadership model into your classroom and curriculum. You can sign up for the Roots & Shoots MOOC to learn more. 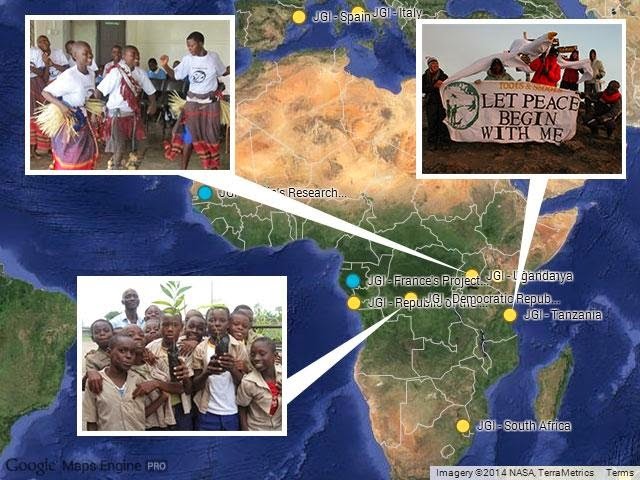 Roots & Shoots groups from Uganda, Tanzania, and Republic of Congo share their projects. There are more than 8,000 Roots & Shoots groups in 136 countries. Photos courtesy of JGI. Today, on my 80th birthday, my wish is for young people around the world to think about the ways you can use technology to learn more about the wonderful world we share. Then, to take action, and inspire others to do the same. You have the power to do so much more than I did in 1960, to spark change I could only imagine back then. And you can do it no matter where in the world you are.